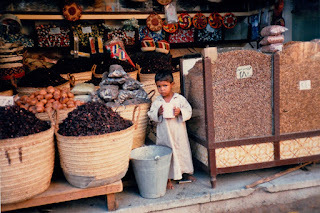 Continuing preface: My initial intent with this series was to document my first visit to Egypt 25 years ago in order to compare with my upcoming assignment in Egypt scheduled for February. Obviously, since I posted Part I last week, circumstances have changed dramatically! 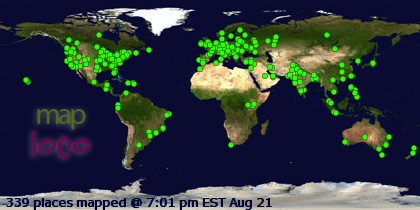 My purpose is not to cover or coat-tail the current events, but I cannot ignore them either as I publish these posts. When I began publishing this series last week, a colleague of mine had been in Egypt with a group, and they were safe on the Nile in southern Egypt as of Friday. I have just learned this Monday morning that they have been safely exited and are now in London, so I can put my focus back on digitizing my journal here. 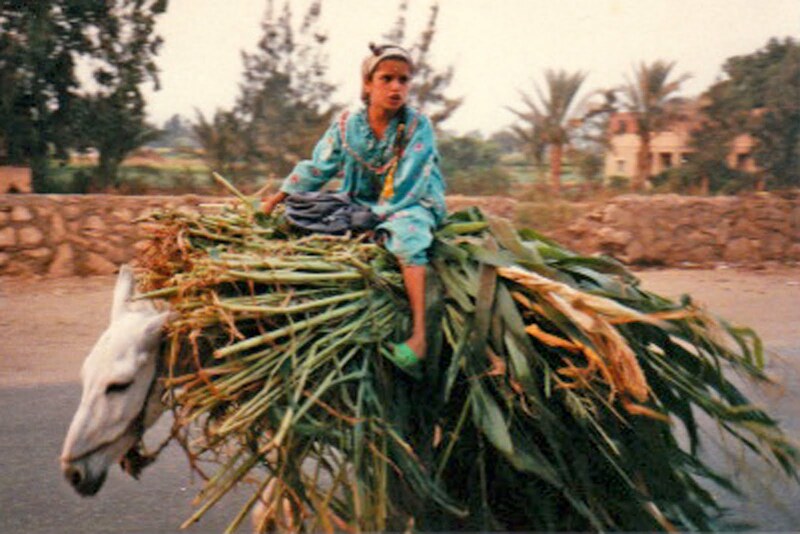 If you haven't already, check out Part I of Remembering Egypt. Ugh, This morning was full of running around getting things done. Worth a mention was the visit to the train station to ask about tickets. From the moment we walked in we were stared at - Marie's bare shoulders, my light hair - we stood out like sore thumbs. As we entered the station, there were men putting down large red carpets in the corner of the room in preparation for prayers. Only the men could pray publicly. If the women wanted to pray, they must not be seen (our guide tells us). I remember even in the mosque yesterday that there was a special area in the back of the room for women to pray without being seen; and even so it was only recently that they were allowed to enter the mosque at all! There weren't many women to be seen at the train station. When we went to get in line, our guide (still the taxi driver from yesterday) told us that we must wait by the wall because women were not allowed to wait in line. He was going to do it for us. I didn't like the whole situation and I kept nagging Marie that we should have just gone to the travel agency suggested by the paper I got before leaving London months earlier. But we were already there and our guide did as he promised. Who knows how much we may be getting ripped off in the process but oh well. Fear and trust don't mix well, so I opted for trust. 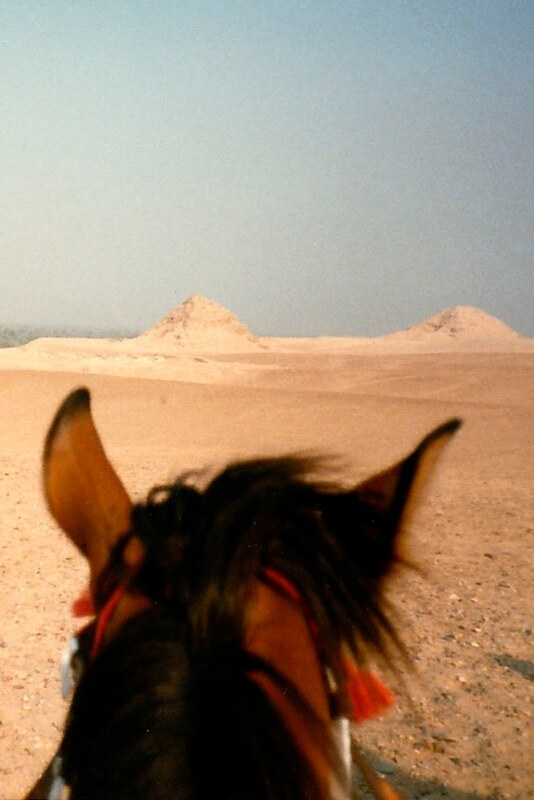 So off we went from there to the Pyramids. On the way through the city the front tire blew out on our little taxi - a minor inconvenience and we just had to go with the flow, ultimately taking another taxi. At the Pyramids we found our "friends" (they always greet us and add "my friend" to every sentence when they're speaking to us), and they were waiting to take us by horseback to Sukkara. I couldn't go more than 2 meters without the guide changing my horse! By the end of the day I'd been on all four horses. Despite these problems, the journey was incredible! 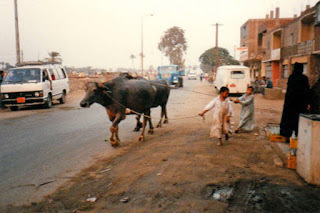 We first rode on a path alongside the banks of the Nile river. There were stray dogs at several crossroads who would growl and looked extremely vicious. I was scared enough that I really appreciated being up on a horse! We went by small farms and villages. We passed by so many military posts. I was so curious as to what they did there. 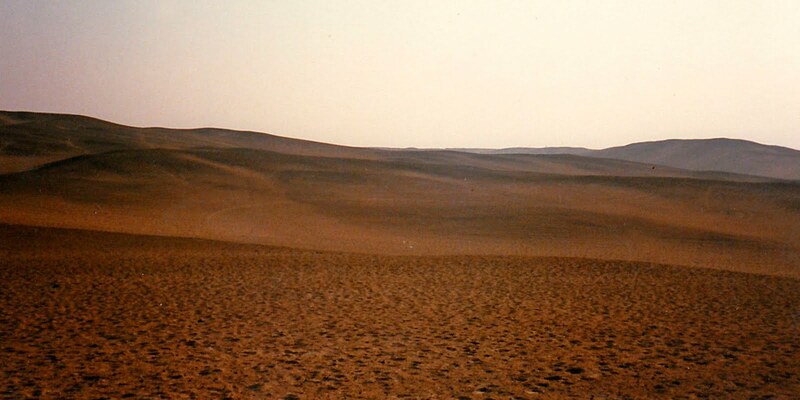 Eventually we cut across down a side street and into the desert. 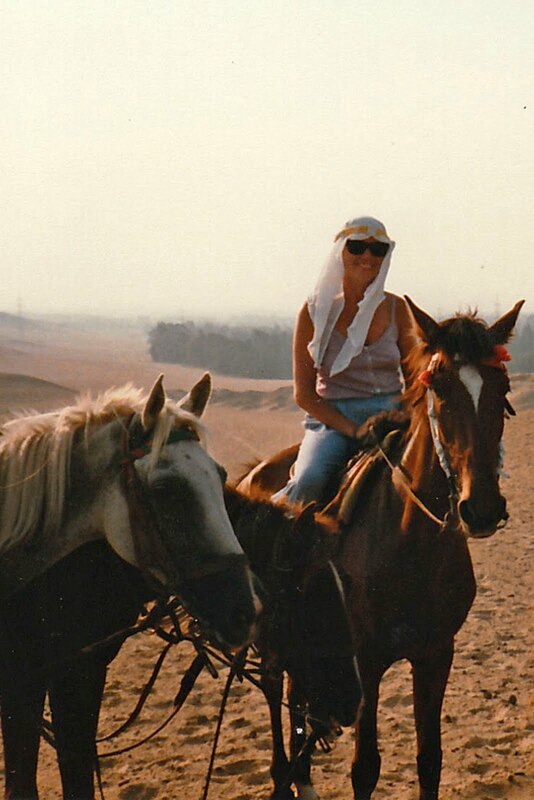 We rode along the edge of the desert for quite some way, me with the guide who was keeping close watch on my horse. 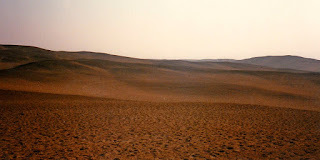 It was so neat to watch the rolling hills of sand sweep by as we galloped through. I lagged behind but finally got the feel of rhythm with my horse as we reached the end. We checked out the step pyramid and rested a bit. Lo and behold there was our original taxi driver waiting for us with a brand new tire and all set to drive us back to Cairo. We drove back on Sakkara Road (I think?) along the river through rural farmlands. We stopped at a busy corner to have some drinks, and the locals were quite intrigued with us. 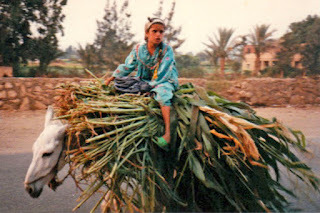 Children were working - pulling oxen or riding donkeys with loads of farm harvests. 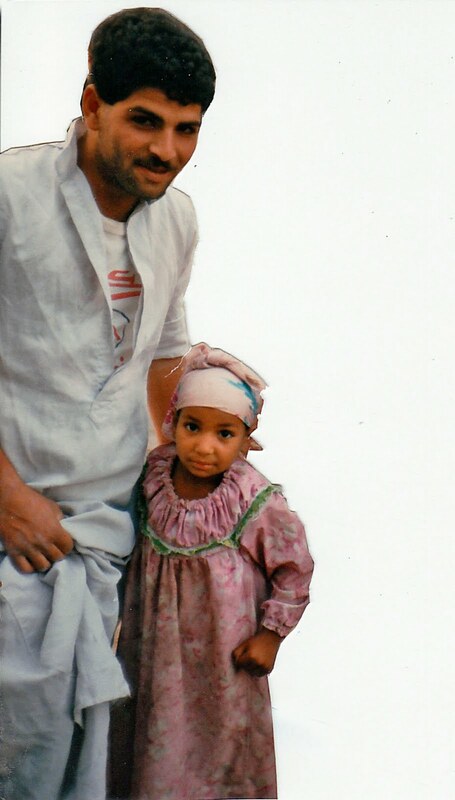 One small girl wearing pink was smiling in curiosity as she'd never seen foreigners before. After a lengthy communication ordeal, we took a picture with permission and encouragement from her father. We thanked her by buying her an ice cream, and her father beamed. She was too cute! But the women covered head to toe in black were downright frightened of us, disappearing anywhere we went. We got back to the train station in plenty of time, and observed people on the platforms as they observed us. I wondered what it must be like for them, living in poverty, to see us boarding a First Class train to take us overnight to Aswan. 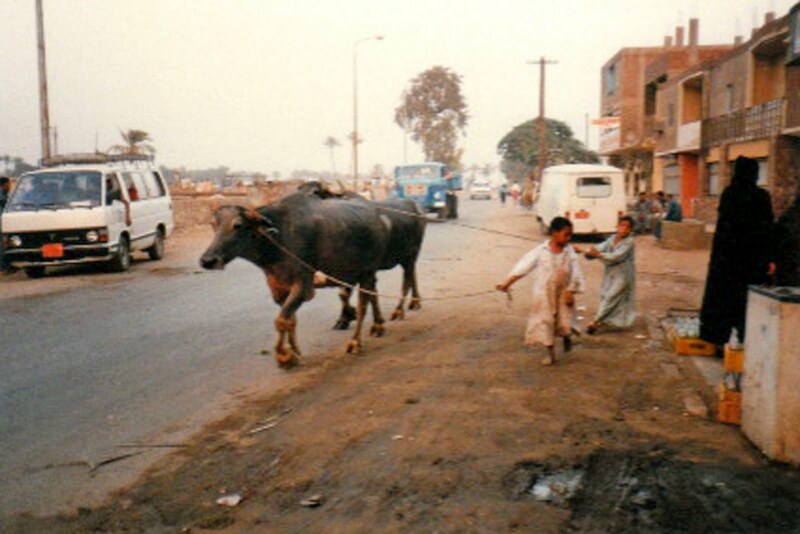 For them, the journey would cost one pound and take 4-5 days on a dirt-floored train with no windows or doors, that stops at every village for anyone to get on with any of their animals. They look at us but show no expression. They must hate us, I wouldn't blame them. They only watch and wonder about our lives as we do them. I was intrigued by three men in particular - they stared at Marie but said nothing. Their eyes said so much though. After they'd had their fill of watching us, they looked away, up to they sky, as if they were reflecting, or praying even. What was going on in their minds? What were they thinking? Where were they going? I took one last look at them then boarded the train, stepping out of the filth and dirt into a world of clean luxury. I stepped into a different world, and these three men were soon far from my thoughts. The train ride was excellent. After dinner, Marie and I went to our friends cabin and had some drinks. After a bit, the discussion turned to politics. This was troublesome and I won't get into detail, but at one point they were drunkenly singing "We are red! We are white! We are Danish dynamite! ", and that should give you some idea of their ethnocentric view of the world. 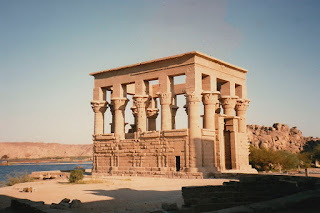 We woke up in Luxor, hungover and unmotivated to get off, so we decided to continue with the Danes all the way to Aswan. What a horrible mistake that was. What a horrible place. The temperature was well over 110 degrees in the shade when we found a travel agent. 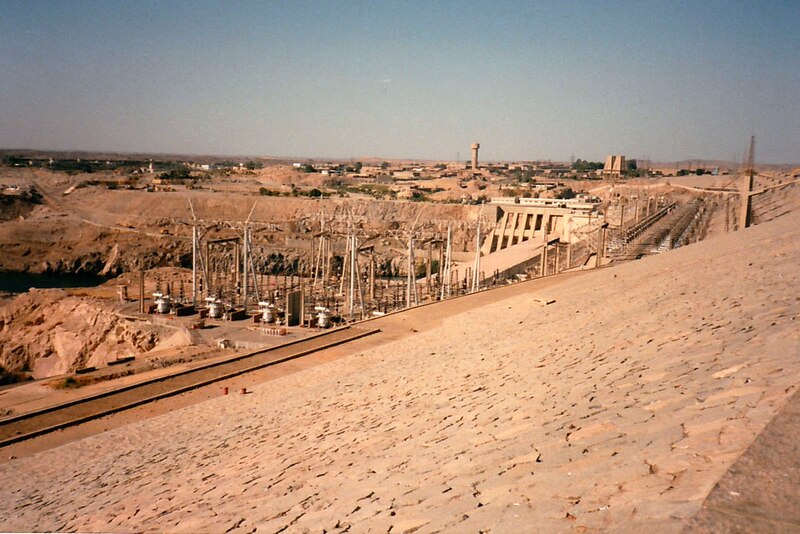 We got a s#%& deal, but managed to visit the Aswan High Dam. It was so hot out there. 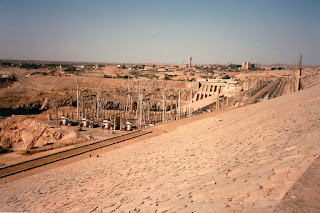 I know this huge dam out in the middle of the desert is a remarkable modern feat of engineering, but it still looked grotty (is that a word?) and old, not at all what I pictured from Dr. Kim's lectures. I took pictures for his sake anyway, after all he praises that dam for saving lower Egypt from constant flooding or something (I'm not in the mood to sound intellectual, sorry, it's hot and I'm on vacation). 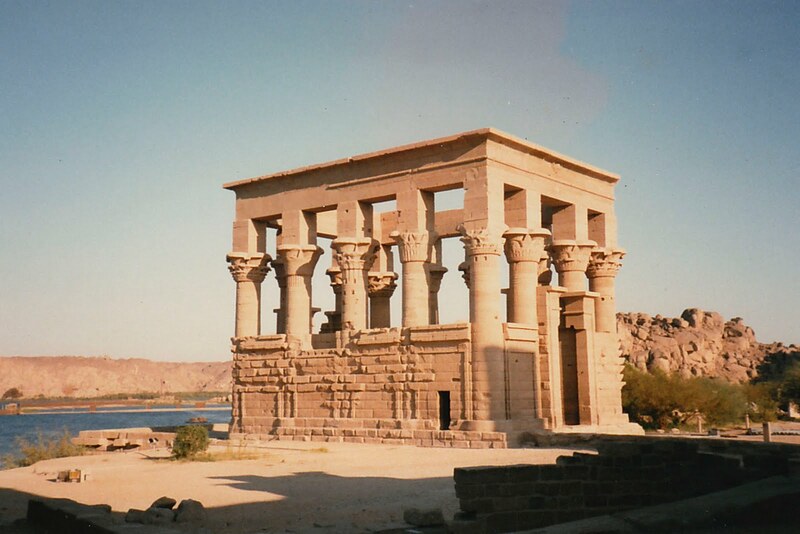 Anyway, from there we took a motor boat to an island of the Philae Temples where there stands a Temple of Isis (God of Evil), appropriately. It was really too hot to appreciate the 4000 BC temple. And the people there - who were demanding us for some money even though we'd already paid the seedy agent - really put us on edge. So our unfinished tour ended at the unfinished obelisk, which closed at 4:00PM. We were really p.o.'d. The rest of the day was S(expletive), but we managed to arrange a felucca for the next day. Wearily, we walked through the market streets busy with locals doing their shopping. It was so dirty and filthy...and smelly. I was sickened at the fact that we had to buy our food there. Oh, and conducting business transactions with children was most odd. Our first hotel was horrific and frightening (and unsafe with broken locks and obvious signs of forced entry). I won't even mention the toilet facility, if you can call it that. We left in darkness and found another hotel, more expensive and a slightly better quality, and we finally fell asleep out of sheer exhaustion and relief in knowing that tomorrow we would be leaving this dreadful place. Please return for the third and final Part III, when we cruise the Nile for 3 nights on a tiny open-air felucca, and I celebrate a most unmemorable birthday in Cairo with "Pharoah's Revenge". What I remember most about the train station was the pigeons. People catching the pigeons. Our guide told us they were going to eat them. The amazing restaurant - I remember eating ful medames. And the bare feet. We were such freaks! Great photos…I felt like I was taking a walk right there with you!